Black Friday and Cyber Monday Generating £1.1 Billion in Online Sales: Where Did We See the Real Performance? Another year of Black Friday and Cyber Monday sales have hit Britain’s shores. Amid speculation about a cooling towards the popular American shopping holiday, due to rowdy behaviour and chaos in retails stores, statistics seem to tell a different story. While shopping centre parking lots seemed to be empty on November 27th, the Internet was the real hero of the day seeing massive sales through the channel. 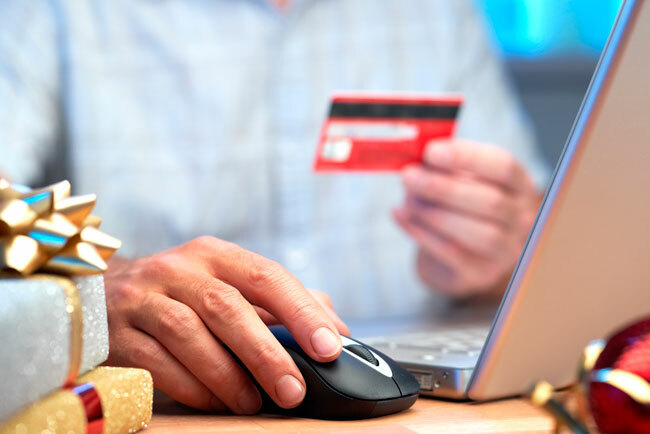 Total online sales on Black Friday hit £1.1 billion up 3.6% from last year according to Experian. It doesn’t come as much of a surprise to us that Black Friday has become heavily focused on online consumer purchases within the UK. Firstly, many consumers don’t want to deal with crowded shops, lack of parking and even risking the product not being in stock especially when many of the same deals are available online, and secondly unlike its American counterpart the UK’s Black Friday holiday falls on a normal working day. NMPi takes a look at how our brands performed online over the Cyber Weekend, and where we really saw the spikes in performance. 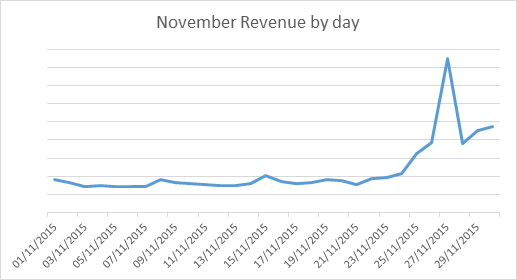 As expected, Black Friday generated the highest revenue throughout November, generating 370% more revenue than the month’s daily average. In spite of the increase in revenue on Black Friday, conversion rate actually peaked on Cyber Monday approximately 55% higher than November’s daily average. This was due to many retailers running promotions ending on Monday, increasing the pressure for the consumer to convert. 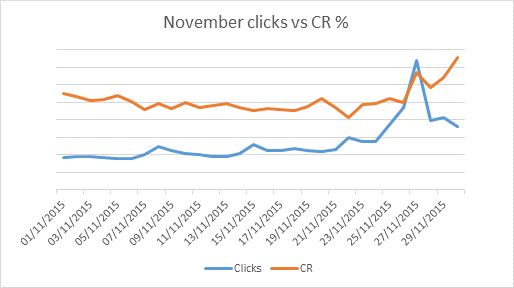 However, we did see significantly higher traffic volumes and CTR on Black Friday. Overall, this made Cyber Monday the second highest revenue generating day in November with a 160% increase on the daily average. Followed closely behind by Sofa Sunday, the Sunday following Black Friday, which generated revenue 150% greater than the daily average in November. Black Friday showed a significant year on year uplift – accounting for 12.5% of the total months revenue this year, compared to 9.5% last year. We can attribute this to greater awareness and more advertisers running Black Friday deals. In November, mobile and tablet surged to account for 63% of online traffic and 50% of revenue over the Black Friday and Cyber Monday weekend. So, what do these stats mean for retailers? If you haven’t already, optimise your website for mobile use. This can’t be said enough as according to a poll by Retail Systems Research only 26% of retailers worldwide had piloted or implemented a mobile responsive website though 43% say that they have budgeted or planned on implementing one. 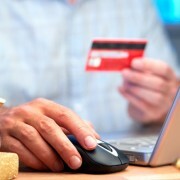 It can no longer be ignored as consumers take to their mobile devices to research and shop. Have a full digital strategy in place that can track and attribute conversions across device and channel. Make sure to use retargeting within your paid search, display and paid social activity. This allows advertisers to take full advantage of those who didn’t convert over the entire holiday period. It also gives them the opportunity to up-sell accessories for items they have purchased. There are still several big shopping days left to the holiday season such as Green Monday. Take advantages of your digital learning from the Cyber Weekend, and make sure your campaigns are optimised accordingly. Check that your campaigns have enough budget and don’t forget to make bid adjustments.